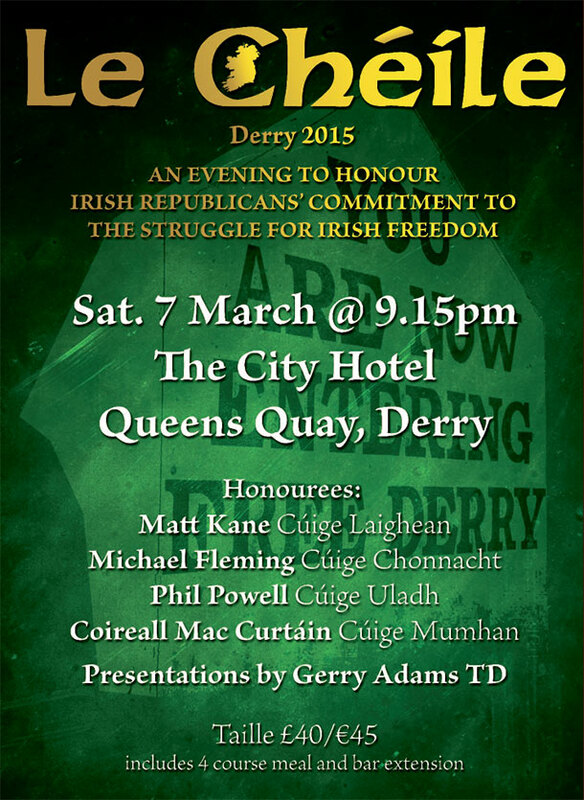 Le Chéile, the annual event at which people’s contribution to the struggle for Irish freedom is honoured by the republican family, takes place on Saturday 7 March 2015 at 9:15pm in the City Hotel, Queen’s Quay, Derry. Show your support for your honouree. This year’s brochure will include €10/£10 personalised ads. The deadline for receiving ads is 4pm Friday 21st February. Tickets are priced £40/€45, which includes a four-course dinner, live band and DJ till late. 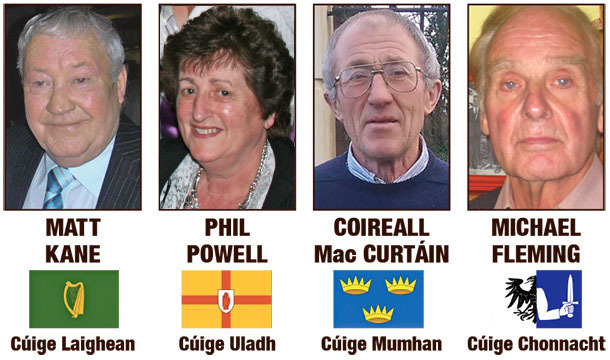 Presentations will be made by Sinn Féin President Gerry Adams TD.